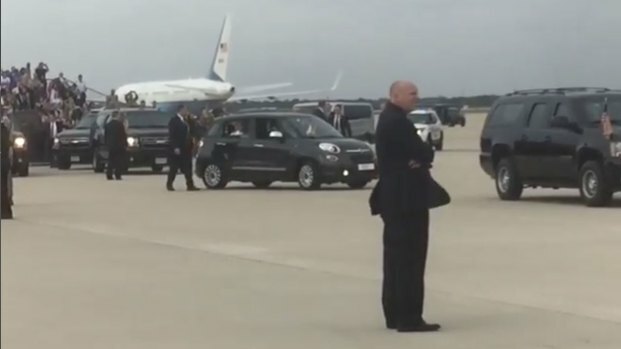 Pope Francis is officially welcomed to the U.S. by President Barack Obama and Michelle Obama, one day after landing in the nation's capital. Both Obama and Pope Francis will speak on the South Lawn of the White House in front of a crowd of about 20,000 people, before returning inside to exchange gifts, pose for official photos and discuss policy. A papal parade along the Ellipse and a portion of the National Mall will follow close to 11 a.m. Nearly 18,000 people are expected to line the route. St. Matthew's Cathedral, 11:30 a.m.
Francis holds midday prayer with 300 U.S. bishops at the seat of Washington, D.C.'s archbishop. The cathedral is named after Saint Matthew the Apostle, the patron saint of civil servants. 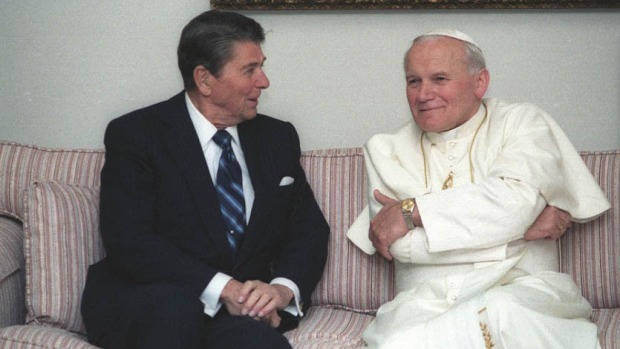 St. Matthew's has played host to Pope John Paul II, back in 1979, and it was also where dignitaries gathered to celebrate the funeral Mass for John F. Kennedy on Nov. 25, 1963. Basilica of the National Shrine of the Immaculate Conception, 4:15 p.m.
Francis celebrates Mass in Spanish to declare 18th-century missionary Junipero Serra a saint. 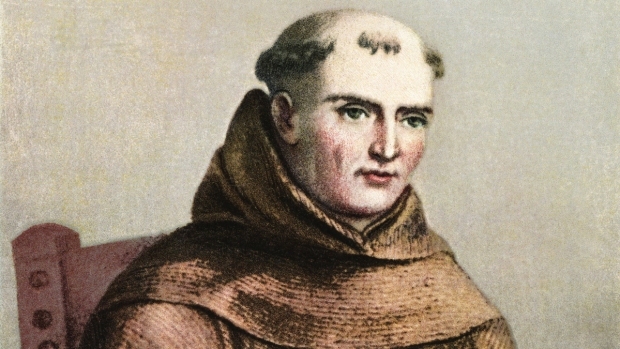 The Franciscan friar, a controversial choice, started nine missions in California and his is the first-ever canonization in the U.S.
Organizers expect more than 20,000 people to celebrate the canonization outside the Basilica, America's largest Roman Catholic cathedral. Mostly sunny with highs of 75°- 82°, according to Storm Team 4. Want to Watch the Arrival? We will cover all the day's biggest events live with livestreams on our website and in our app. 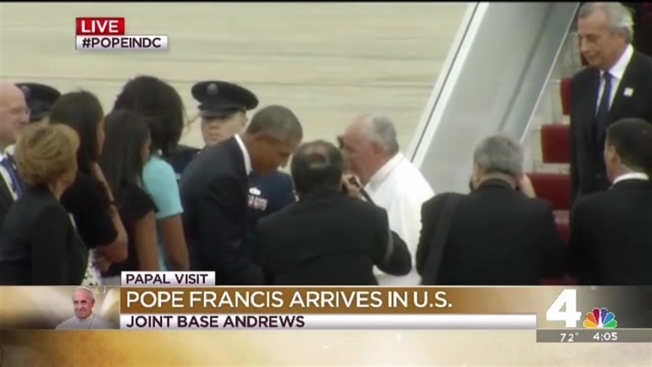 Click here for full coverage of the papal visit. Check out these tips on how to get around. Still have questions? Here's what you can and can't do during Francis' visit to D.C.